Analytical laboratory testing expertise, from advanced R&D research projects to routine quality tests. Intertek is a leading provider of independent analytical services. The analytical services laboratories are staffed by trained chemists, material scientists, technicians and laboratory management with years of industry knowledge and expertise. Intertek analytical laboratories provide materials testing services for a broad range of clients, markets and industries. 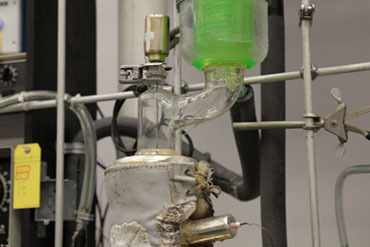 Intertek offers analytical laboratory techniques, laboratory instrumentation and testing methods, providing the critical analysis information clients need for trouble-shooting, research, quality control and many other requirements and applications. Intertek scientists and technicians provide the crucial laboratory support you need to help run your business and meet product research, development, and quality goals.